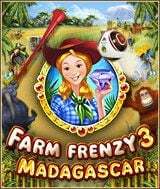 Download Farm Frenzy 3 - Madagascar for free at FreeRide Games! 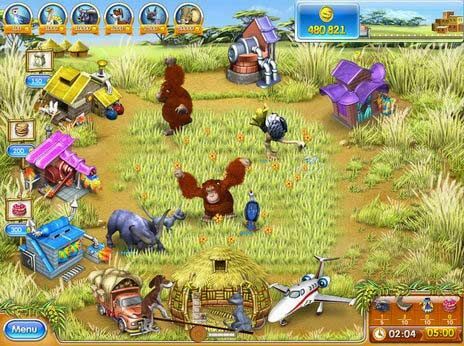 Enjoy an all-new Farm Frenzy 3 adventure in this Time Management game set in stunning Madagascar! Join Scarlett as she travels to the exotic country to help the workers on a reservation save their animals, which have become sick for an unknown reason. Raise new, vividly animated indigenous creatures, construct and use new buildings, and manufacture exciting new products throughout 90 thrilling levels! If you've enjoyed the previous Farm Frenzy games and are itching for more of the same frenzied Farm fun but in a whole new location - Farm Frenzy 3: Madagascar should do the trick! An all-new Farm Frenzy story.